This chapter examines the similarities and differences between big data and knowledge management. Big data has relatively little conceptual development, at least from a strategy and management perspective. Knowledge management has a lengthy literature and decades of practice but has always explicitly focused only on knowledge assets as opposed to precursors like data and information. Even so, there are considerable opportunities for cross-fertilization. Consequently, this chapter considers data from McKinsey Global Strategies on data holdings, by industry, and contrasts that with data on knowledge development, essentially the intangible assets found in the same industries. Using what we know about the variables influencing the application of intangible assets such as knowledge and intelligence, we can then better identify where successful employment of big data might take place. Further, we can identify specific variables with the potential to grant competitive advantage from the application of big data and business analytics. The idea that intangible assets exist and may have something to contribute to the success of organizations is long-standing. Schumpeter’s (1934) innovation work suggested that new ideas come from less tangible inputs of the firm. Nelson and Winter’s (1982) evolutionary theory suggested that better management of such intangibles could lead to competitive advantage. This conceptualization fits nicely with the resource-based theory of the firm (Wernerfelt, 1984), and, thus, it was a short step to the conclusion that intangibles might be a key resource granting unique, sustainable advantage. And with some additional definitional development, intangibles became equated with organizational knowledge, and the knowledge-based theory of the firm was suggested (Teece, 1998; Grant, 1996). Knowledge workers (Drucker, 1991) were a key to organizational success and effective means of measuring and managing knowledge assets could be an explicit strategy for gaining such success. The definitional step was not a large one, as a fairly lengthy literature also exists in the knowledge management (KM) field characterizing the nature of the assets. Indeed, Ackoff’s (1989) DIKW (data, information, knowledge, wisdom) hierarchy permeates the field. Purposeful definitions distinguished data (observations) from information (data in context) and knowledge (information subjected to experience and reflection) (Zack, 1999). This is a key distinction as the value suggested by most KM work comes from the knowledge, the know-how built up over time that can then be used by the creator, shared with others, and/or captured by the organization. Data and information, while important precursors of knowledge, don’t necessarily have any value in and of themselves in the traditional KM view. Some trends are now present that suggest an expanded interpretation of what intangibles are of value, which we’ll discuss shortly. Before that, let’s capture some of the mainstream thinking about knowledge management and its companion discipline, intellectual capital. As noted, everything begins with an acceptance that intangible assets, particularly knowledge, have value. As such, organizations have an interest in measuring and managing such a valuable asset. One important aspect of such an approach is better understanding knowledge, starting with the distinction between tacit (personal, hard to express) and explicit (codifiable, easier to share, capable of becoming an organizational asset) knowledge (Polanyi, 1967; Nonaka & Takeuchi, 1995). The nature of the knowledge is important in dictating how it can be grown, as well as appropriate techniques for doing so. Nonaka & Takeuchi (1995) captured this dynamic in their SECI or “ba” framework, laying out the four potential transfers of knowledge (tacit to tacit, tacit to explicit, explicit to explicit, and explicit to tacit) and the nature of the growth these generate (socialization, externalization, combination, internalization). Knowledge Management: Methods to identify, organize, and leverage knowledge assets through further distribution and sharing. 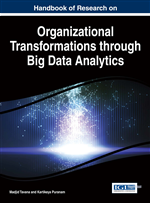 Business Analytics/Intelligence: Analysis of big data for strategic, tactical, and/or operational insights. Intellectual Capital: Knowledge assets of the organization, commonly thought to be made up of human capital (job-related knowledge), structural capital (persisting knowledge assets of the organization such as systems or culture), and relational capital (knowledge relating to external entities). Big Data: Large amounts of data generated and stored by an enterprise, often in the areas of operations, transactions, and/or communications. Competitive Intelligence: Gathering and analyzing data, information, and knowledge relating to a competitor or related topic, resulting in actionable intelligence.